In 1961 Cary Grant reached out to Dyan Cannon's agent to request a meeting with the budding actress. She was taken back. Why would this leading man who was 33 years older -- not to mention three years older than her father -- be interested in her? Initially she did what many would consider unthinkable and turned him down on several occasions. Finally, without her knowing, a meeting was arranged, and she came face to face with what she describes as "the most arrestingly handsome man" she had ever laid eyes on. 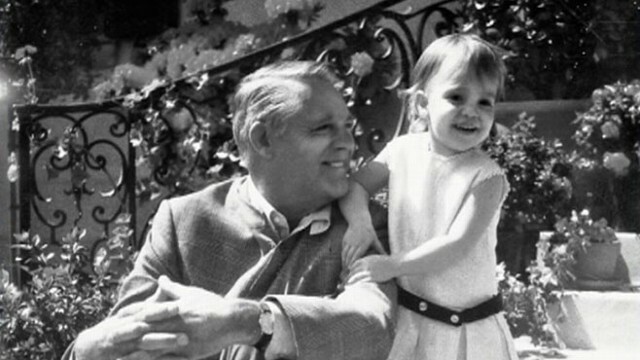 Cannon writes about her first encounter with Grant and much more in "Dear Cary: My Life with Cary Grant," a book she calls a journey of a heart. In remembering the intimate details of their relationship, Cannon, 74, says she took her clothes off and was presented with a challenge. She wanted to write the truth, but she also wanted people to keep the stars in their eyes about the legendary actor. "I've been through the fire and back," Cannon told ABCNews.com. "I believe in writing the book I'm celebrating my victory. I really believe this book will touch lives." This isn't the first time Cannon has attempted to write a book. Over a decade ago she had a deal to write her autobiography. She worked on it for a year and then flew to New York to talk with her publisher. She explained that in writing about her life, she didn't realize she'd also have to be honest about others too. Prior to that experience, both Swifty Lazar and Jacqueline Kennedy Onassis asked her to tell her story, but she declined their offers because she couldn't think of writing a book until it could be helpful and hopeful to others. "So many people are walking around with broken hearts, unable to trust. I hope this book will help people with that," Cannon said. From the moment Grant saw the Tacoma, Wash., native on the TV show "Malibu Run," he knew he wanted to be with her. Once they met, Grant swept her off her feet, and they had a whirlwind relationship, much to the dismay of her father. Cannon wanted more, though. She wanted marriage. She wanted a family. Grant, who had already been married three times, made it clear that he no longer believed in marriage. Cannon tried on several occasions to walk away since he wasn't going to fulfill her dreams, but she couldn't deny her feelings. Then she became pregnant with his only child. Eventually Grant proposed, and they wed on July 22, 1965. Their daughter, Jennifer, was born seven months later, but it wasn't the fairytale Cannon had in mind. Cannon's pregnancy and the birth of Jennifer brought back painful childhood memories for Grant. When he was 10 years old, his mother disappeared. For a while he wondered why she left him. Later he was told she had died. Then at 30, his father contacted him unexpectedly and gave him the news that his mother was alive and living in a mental institution. As Grant relived the past, he became abusive toward Cannon. He changed the way she dressed, talked and even thought. Being a proponent of LSD because he thought it brought him closer to God, he wanted the same for Cannon. Against her better judgment, she finally gave in and tried LSD about a dozen times in hopes it would make him happy and improve their failing marriage. It only destroyed her life. Grant and Cannon divorced in 1968 and soon thereafter Cannon suffered a breakdown. For those who find themselves in a controlling relationship, Cannon says her advice would vary on the individual, but there is one thing she is certain of. "When as a woman or a man you give your instincts -- your very thinking away -- to someone in order to make them happy, that's a no, no," she said. Cannon, born Samile Diane Friesen, had always wanted to please. When producer Jerry Wald encouraged her to change to her last name, she did so without a second thought. "I think that's the big thing about actors and actresses," she said. "They want to please. I wanted to make people around me happy." Although Cannon had let go of anger years ago, writing this book taught her to trust again. She now knows when she is kidding herself and has returned to listening to the voice inside that tells her, "Hold it. I'm looking out for you." Even though she was able to avoid drugs and alcohol, she continued to find it difficult to resist the temptations of men. She admits that she used to date three men to make one. In 1985 Cannon married again to Stanley Finberg. They divorced five years later. Now she's stopped looking for Mr. Right because she's learned how to be happy alone. Not that she's sworn off marriage like Grant once did. "I would like to be with someone again," she said, pausing to add, "To practice everything I've learned!" As for Grant, she still considers him the romance of her life and believes he would enjoy her book. "He would say, 'You silly child. Good work.' He was one of the most special people I've known in my life," she said. "Honestly, if I could love him then like I've learned to love now, I think it might have been different."